First rate reporting as standard. We undertake CCTV inspections of both manholes and chambers for commercial clients of all kinds including local authorities, utility companies and consultants. As such, we deliver both meticulous detail and accessible reporting as standard. With manhole inspections, we put ourselves in a position to act upon structural defects, leaks and other damage from the moment they are identified – with your authorisation. This gives us the opportunity to apply a smaller scale repair in the moment, rather than a more elaborate solution in the near future. The IBAK Panoramo SI is our flagship piece of manhole inspection hardware. Designed for use in manholes or chamber interiors of at least 300mm in diameter, with two high resolution digital cameras scanning the entire interior in just a few seconds with astounding clarity. Manhole inspections are carried out using yet more state of the art, revolutionary technology from IBAK. 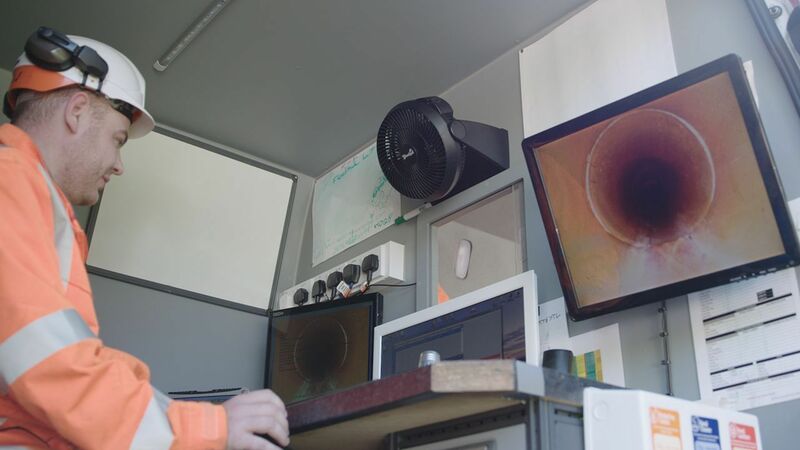 The 3D Optoscanner uses two hi-res digital cameras with distortion-free wide angle lenses to scan the entire interior of the manhole in seconds, during one, single, vertical run. Like the horizontal unit, this camera records 360º so that everything can be analysed in detail at any time. The visual image can be ‘de-rendered’ enabling the point cloud to be exported directly into auto CAD.